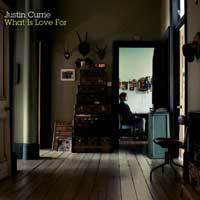 Justin Currie’s voice and lyrics are just as good as they were in the Del Amitri days, and just as evocative. I haven’t even finished listening to The Uncle Devil Show yet, and now this album, What Is Love For?, is out. Yay! This entry was posted on Thursday, October 18th, 2007 at 6:33 pm	and is filed under Music. You can follow any responses to this entry through the RSS 2.0 feed. Responses are currently closed, but you can trackback from your own site. Another Dels fanatic located! W00t! Oh, it’s not just me? !